The Norwegian government is planning to allocate 100 million kroner ($13 million) in technical improvements to enhance a doomsday seed vault situated on an Arctic island, built nearly a decade ago to protect the world’s food supplies from an apocalypse, a government press release said Friday. 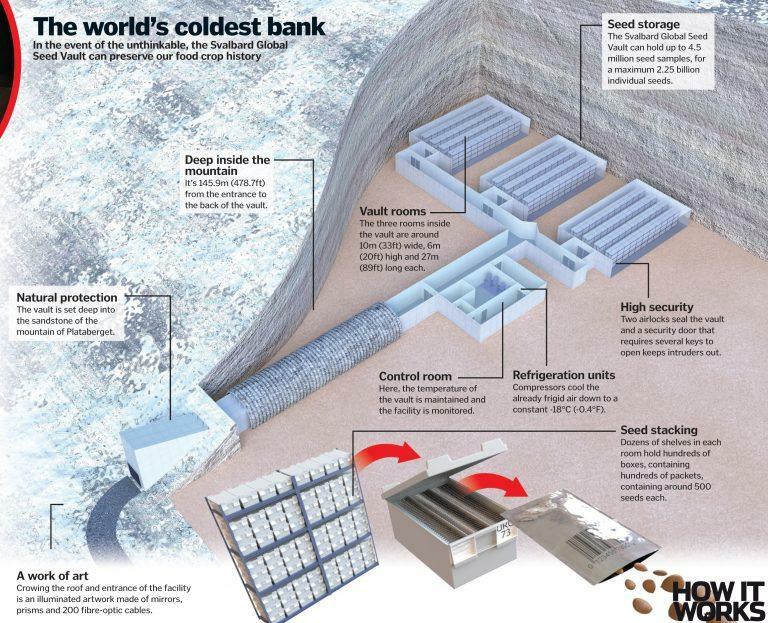 The Svalbard Global Seed Vault is a secure seed bank buried deep inside a mountain on the Norwegian island of Spitsbergen near Longyearbyen in the remote Arctic Svalbard archipelago. The underground bunker is a long-term seed storage facility, built to keep its three vaults cool for 200-years — and can survive natural or human-made disasters. 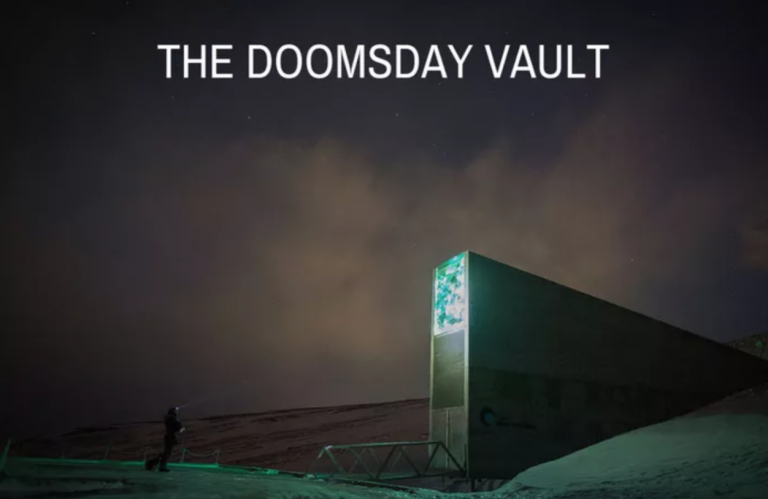 The doomsday vault serves as a storage facility for more than 850,000 seed samples, according to the Public Radio Institute, which the three vault rooms are cooled to -18 °C (-3 °F). “The idea is that we want to provide fail-safe protection for the diversity of our agricultural crops, diversity that is stored in the form of seeds,” Fowler says. “You need freezing temperatures to conserve seeds long term. So we went close to the north pole, where it’s very cold, and we built a facility inside of a mountain, which makes it also very secure. There we’re storing backup copies — seed samples of, currently, more than 850,000 different crop varieties,” he added. 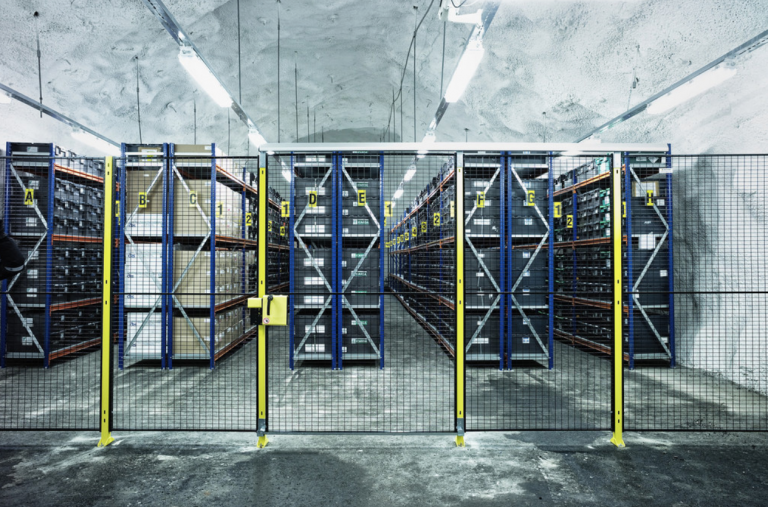 According to the Norwegian government, the seed vault has been used one time. Back in 2015, ICARDA International Research Center, which operated a location out of Aleppo, Syria, was blown up. The organization requested seeds from its deposits at Svalbard Global Seed Vault, which demonstrates the importance of the backup vault in the Arctic. In 2017 the important role of the seed vault was made evident. For the first time seeds were redeposited at the seed vault on Svalbard. The ICARDA International Research Center, previously operating out of Aleppo in Syria, returned seeds harvested after they had retrieved their seeds from Svalbard in 2015. This demonstrates that the seed vault is a worldwide insurance for food supply for future generations, Jon Georg Dale says. While the Norwegian government is preparing to spend a large sum of money to upgrade the facilities of the doomsday vault, the Bulletin of the Atomic scientists has just declared the world “is 2 minutes to midnight.” What do the elites and world leaders know that the every day Joe Schmo does not? Well, of course, war is coming. Have you prepared?